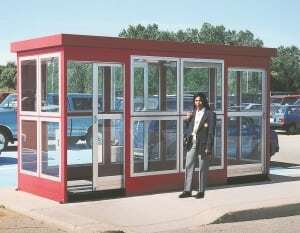 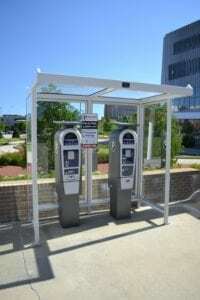 The Modular, Aluminum Shelter, STS-20 is Par-Kut’s Economy panelized system routinely used for Bus, Smoking, Pay-On-Foot, Transit and/or Waiting Shelters. 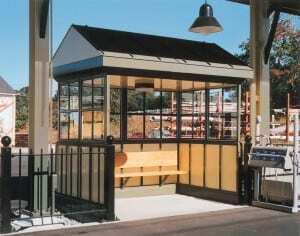 These easy to assemble units consist of Clear anodized aluminum framing extrusions and kick panels. 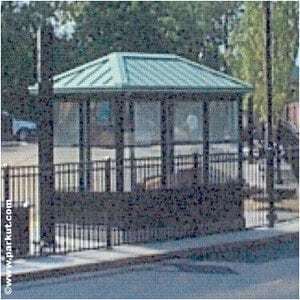 Roof panels, with built-In Gutter system, are white translucent fiberglass and are available in the flat or dome styles. 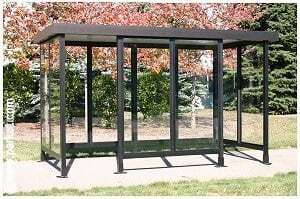 Standard Glazing is clear safety tempered glass. 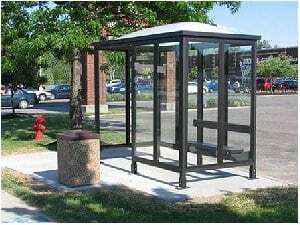 Delivered with complete package of necessary parts for immediate assembly. 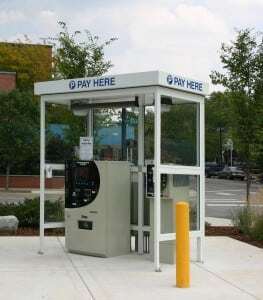 Optional accessories include commercial aluminum swing-type doors with closures (locks & hardware), Aluminum benches, Upgraded to colored anodized aluminum (check for current selections), tinted glass, 70 Watt HPS Light with photo cell control, Fan forced heater with push button control, and optional Bubble style roof. 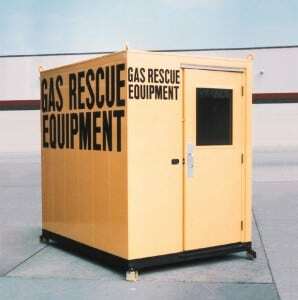 Available in standard sizes 4′ x 8′ to 8′ x 16′, custom configurations available on demand. 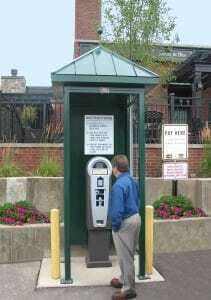 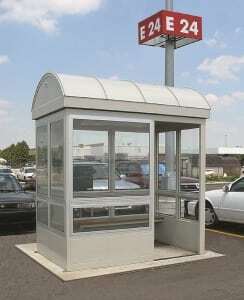 Go to GALLERIES to view additional Modular Aluminum Shelters.